Psychic-Type Xyz Monsters on the field cannot be targeted by Spell/Trap effects. Once per turn: You can discard 1 "Heraldic Beast" monster; add 1 "Heraldry" Spell/Trap Card from your Deck to your hand, except "Augmented Heraldry". 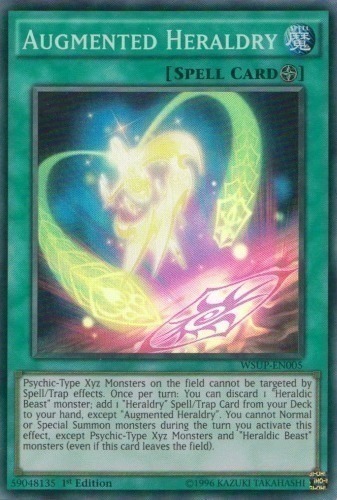 You cannot Normal or Special Summon monsters during the turn you activate this effect, except Psychic-Type Xyz Monsters and "Heraldic Beast" monsters (even if this card leaves the field).